In 1995 Dr. William Liebenberg created the Westview Dental Clinic. From day one the focus has been to provide the very best in dental care in a diligent, competent and respectful manner. Taking the time to minimize anxiety and make the dental experience as relaxing as possible is the commitment the Westview Dental Team makes to each and every patient. As William would always say: “people do not care how much you know until they know how much you care”. So the dedicated team at Westview Dental were determined to find a successor with a dental care philosophy that the patients and William would expect. After an extensive search, the Westview Dental Clinic was fortunate to find a husband and wife dentist team Dr. Shahab Keshmiri and Dr. Leila Shahbazi. 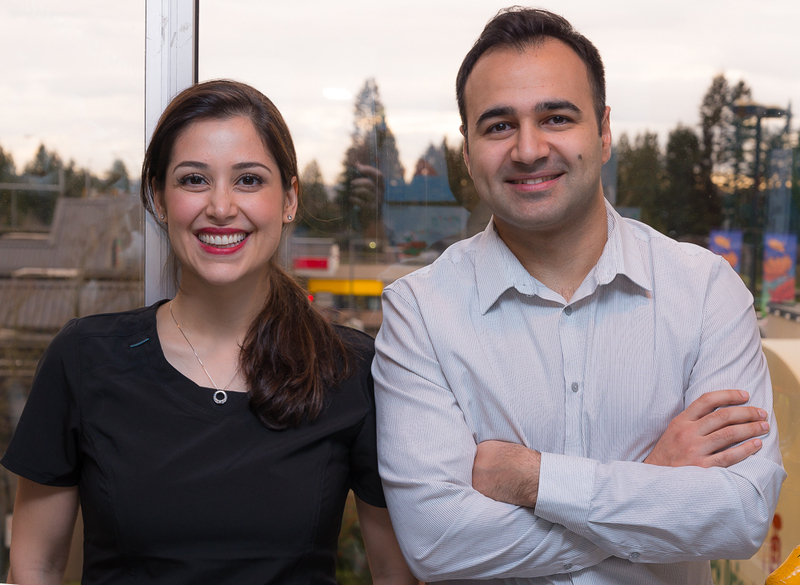 UBC dentistry graduates Shahab & Leila had always wanted to open up a family practice in their own community. “We feel very grateful to be the new owners of Westview Dental,” they said. “We have heard about the uniqueness of the practice from so many of William’s patients and colleagues, and we want to reassure them and our new patients that we plan to carry on William’s legacy in providing the best that dentistry has to offer while maintaining the same happy and caring approach that he was known and loved for,” says Leila. “Our focus will always be on offering individualized patient care in a nurturing, supportive atmosphere.” In addition to his University of Calgary degrees in kinesiology and economics, Shahab has a doctorate in dentistry from UBC. Leila also attended UBC and has an undergraduate degree in neuroscience and doctorate in dentistry. Furthering their dedication to the community, Drs. Shahbazi and Keshmiri have a pre-school program where they talk about the importance of taking good care of even baby teeth to avoid the increasing numbers of cavities they see in children. Family-focused with a special empathy for children, the clinic offers a jungle-themed children’s room for pediatric patients; “happy gas” (nitrous oxide) for nervous patients, minimally invasive microscopic dentistry as well as cosmetic dentistry – including Invisalign®, whitening and more. Completing the Westview Dental team are Molly, Tamryn, Sarah, Jezzel, Brittany, and Lori. To make an appointment or for more information about North Vancouver Dentists, please call 604-985-3999.